I am enjoying the boat very much. I am very happy with it. 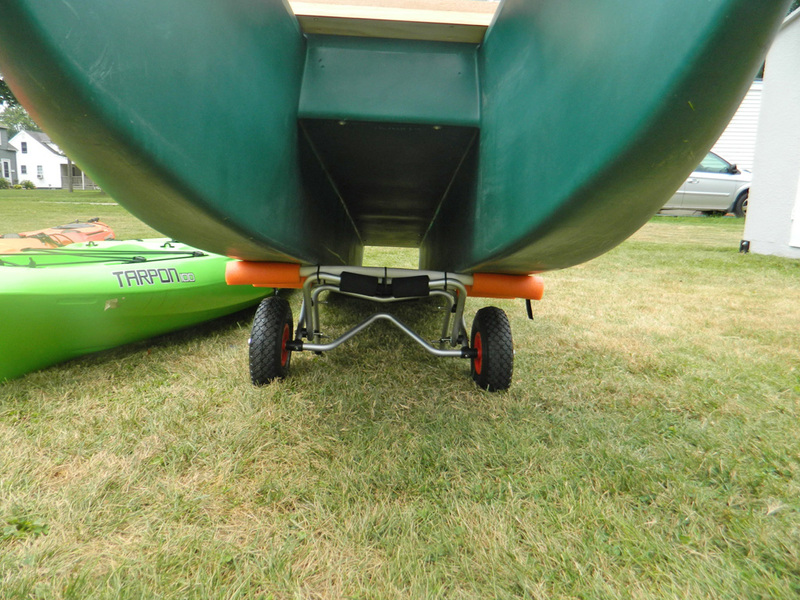 I modified a cart to fit his boat and easily take the boat from the garage to my trailer then to the lakes pretty easily. 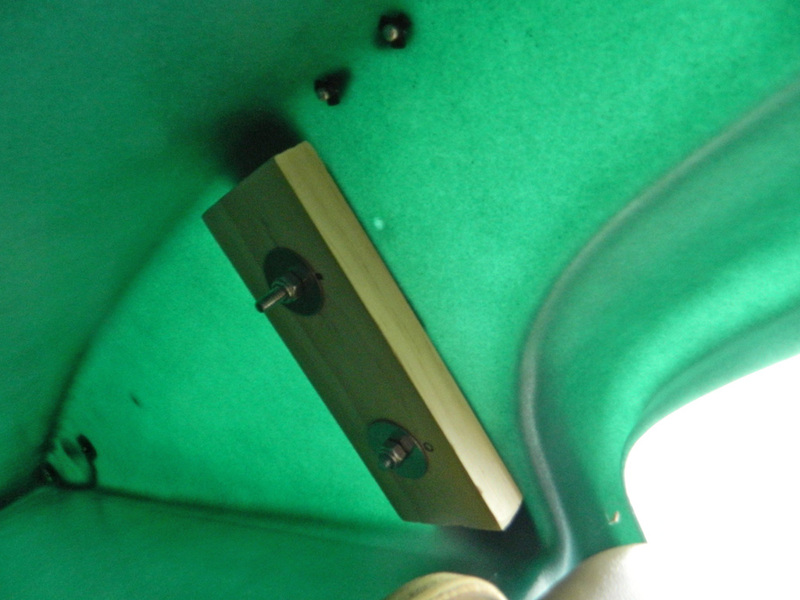 I am experimenting with a trolling motor mount that will allow me to place the trolling motor to the side. I registered the boat to keep the state happy. The grand kids have been out with me a few times, but don’t want to stay out as long as I wish. This should improve as they age and want to fish as much as play. It has proven to be a great boat to use on my own as well. I have lots of room for what I use to fish. Very comfortable for a good long day on the lake. In all I enjoy using the boat very much and also the planning of ways to make it my own. The motor mount is not fully tested. 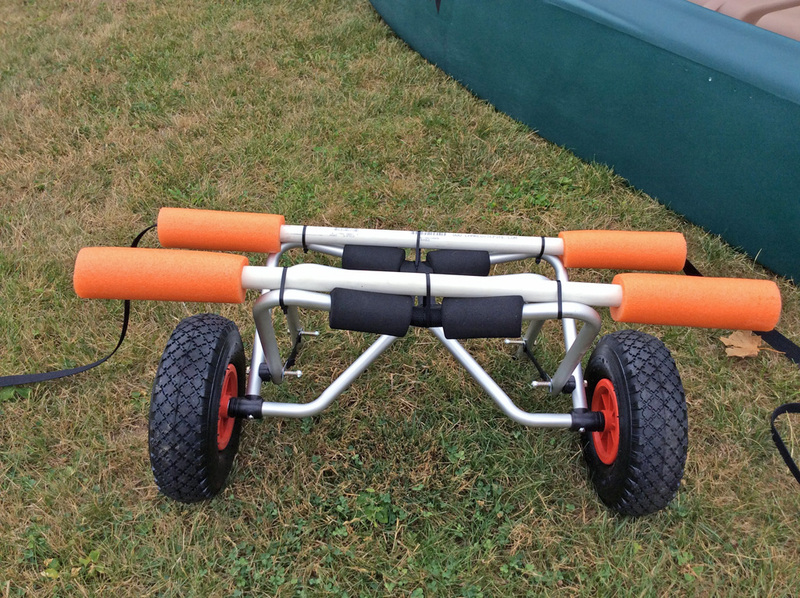 The cart is just 1inch pvc 31 inches long with 7 inches of a pool noodle at each end. 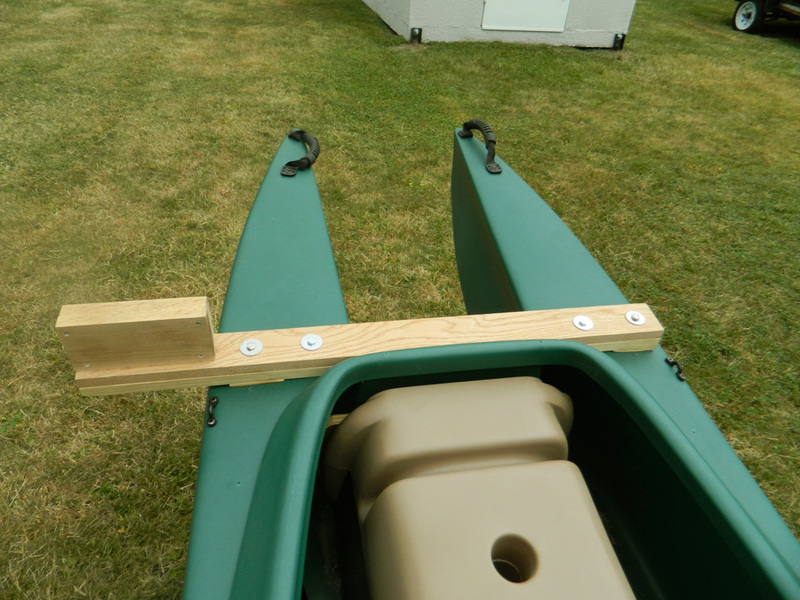 This is tie strapped to a kayak cart I had already. 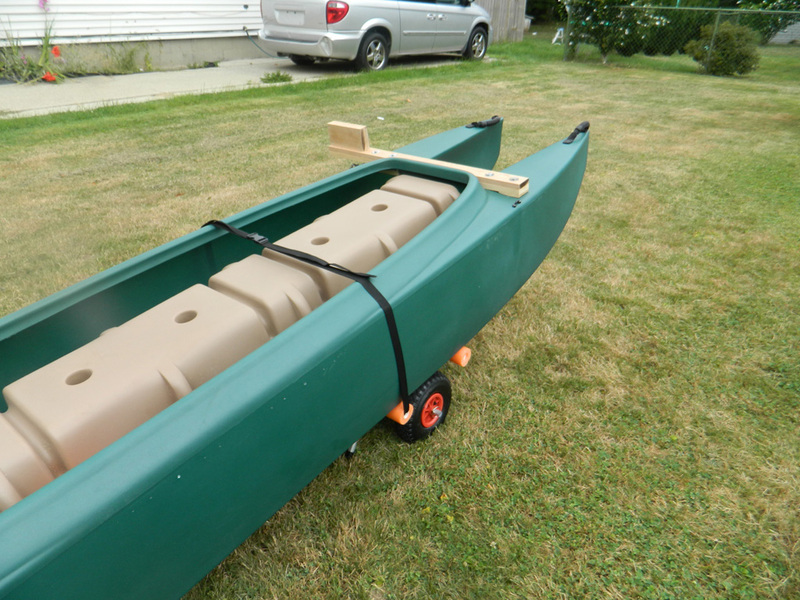 Looks good – Simple, sturdy, and effective. I really like your designs. Where did you get the “base” wheel cart for your 700?